Easter is a time of feasting and celebrating with friends and family. There are many traditional items to serve at your dinner that will be sure to satisfy your guests. 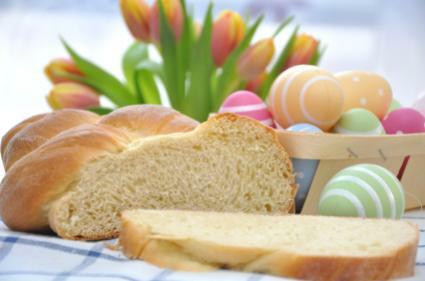 Depending on your ethnicity and your own family's traditions, you may have specific items to include at your Easter dinner. There are also some traditional items that are commonly served at Easter. 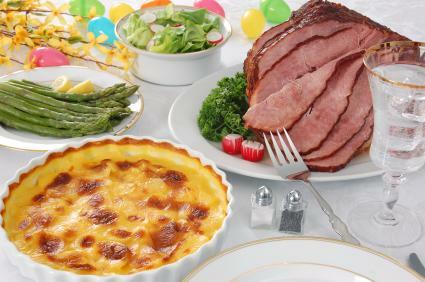 Baked ham: Ham is a staple at many Easter dinners. It can be baked, glazed, or even used in sandwiches. Stuffed leg of lamb: Lamb is another popular meat served at Easter. If you are not up for cooking a whole lamb, consider a leg of lamb or even lamb chops. Scalloped potatoes: Many recipes use a mix of cheeses and cream. To lighten it up, use a reduced fat milk and omit the cheese. 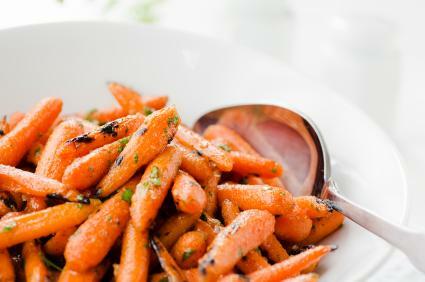 Carrots: Glazed carrots with a mix of brown sugar and butter pair well with any main course; otherwise, carrots and bell peppers are a colorful addition to the meal. Garden vegetables: Pick up some garden vegetables and make balsamic glazed onions or garlic string beans to add fresh flavors to your table. Roasted asparagus: Roasting vegetables brings out the sweetness and flavor of the vegetable. Another popular side is hard-boiled eggs. Set out a dish of brightly colored eggs to serve as both a decoration to your table and a traditional side dish. Green salads: Serve a seven layer salad with leafy romaine or a traditional Waldorf salad at the table. Otherwise, a mix of garden fresh greens such as lettuce and spinach pairs well with tomatoes, cucumbers, and red onions. Serve a variety of dressings for your guests to add themselves. 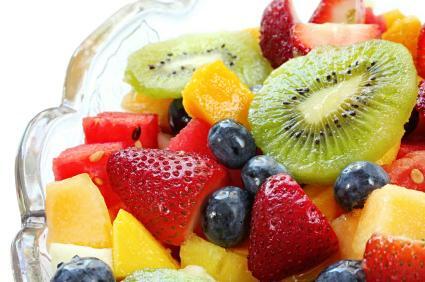 Fresh fruit salad: Combine fruits such as berries, oranges, kiwi, pineapple, and grapes for a light and refreshing dish. Chilled salads: Cold pea salad and sweet ambrosia salad are two excellent spring additions to any Easter table. Pasta salad: Pasta salads pair well with ham sandwiches and make a nice side for meats and vegetables. You can add in a mix of fresh vegetables and a light dressing. If you are short on time, you can always order bread from a local bakery and save yourself both time and stress. 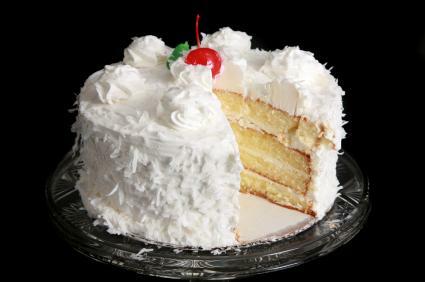 Coconut cake: This type of cake not only looks great, but is light and decadent as well. Layer several cakes together with coconut frosting and the cake will make an impressive finish. Fruit pie: There are endless varieties of pie from apple to fresh strawberry. Cheesecake: Cool and creamy, cheesecakes can be made in spring flavors like carrot cake, lemon, and key lime. You may also wish to serve coffee with dessert and set out a dish of Easter candy for all to enjoy. Easter dinner can occur at any time of the day. If you are hosting an early afternoon dinner, you could serve mimosas. Any time of the day is perfect for a fruity punch or fresh brewed iced tea. The Easter holiday is filled with tradition. From egg hunts to a special dinner with friends and family, the day is meant to be shared with those close to you. A delicious bonus of hosting Easter dinner is having enough for leftovers the next day.